Neu-Isenburg, Germany, October 13, 2017 – SPIRIANT, a leading airline-equipment provider, is now supplying premium economy amenity kits to Asiana Airlines. The kits have been available since August 2017 for Asiana’s Economy Smartium Class passengers on the carrier’s newest A350 aircraft. The kits were created using a holistic and culturally inclusive approach. They include luxurious slippers with a focus on cleanliness and feet protection, concerns that are integral to the Asian market. 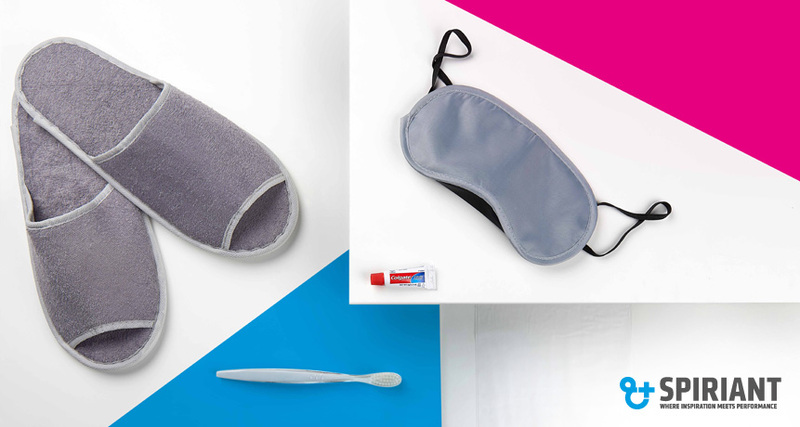 In addition, the pouch contains a dental-hygiene set and a sleeping eyeshade. “SPIRIANT is doing a good job with amenity kits and quality control and we are eager to see how the Economy Smartium Class kits are received,” said Ms. Seo Young Jhung, Manager, Cabin Commerce – Development for comfort items (Amenity) at Asiana Airlines. SPIRIANT is well-known for its award-winning amenity kits, having won the prestigious Travel Plus “Supplier of the Year” award. The company is well positioned with a dedicated amenity kit business unit in Hong Kong, where the team is on a mission to create innovative kits with powerful collaborations behind them.